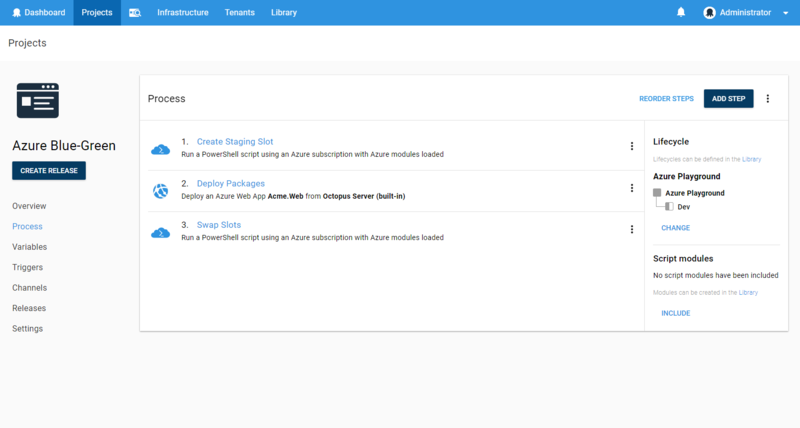 Deployment Slots provide a nice way to implement Blue-Green deployments for Azure Web Apps. When deploying packages with a large number of files, deployment times can be significantly reduced due to not having to compare with existing files (this assumes you are deploying to a clean slot). Roll-back can be achieved by simply swapping the slots back. 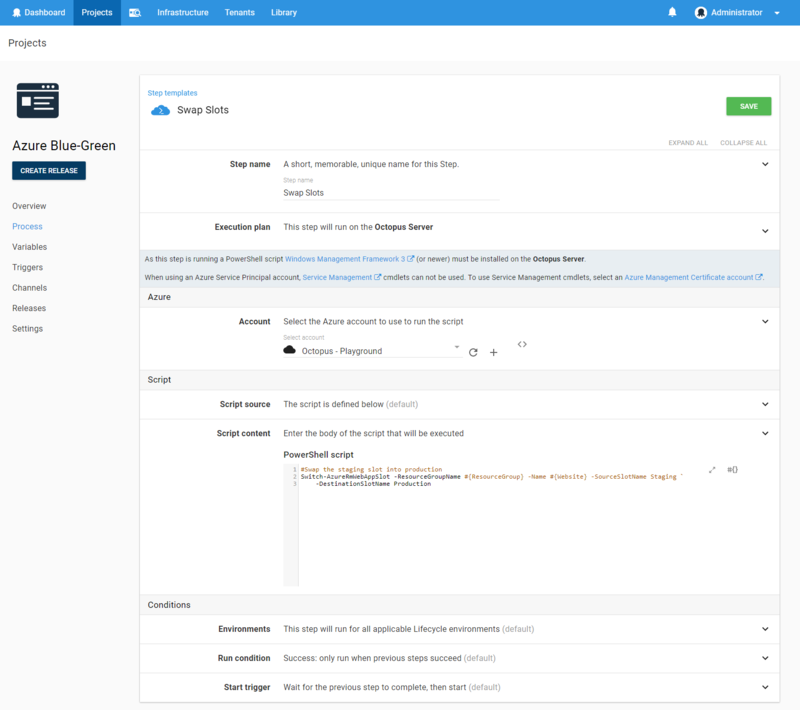 Here we will give an example of how to setup a Blue-Green deployment for an Azure Web App using Deployment Slots. The scripts below assume you have a variable named 'WebSite' that contains the name of your Azure Web Site and 'ResourceGroup' that contains the Azure Resource Group Name. 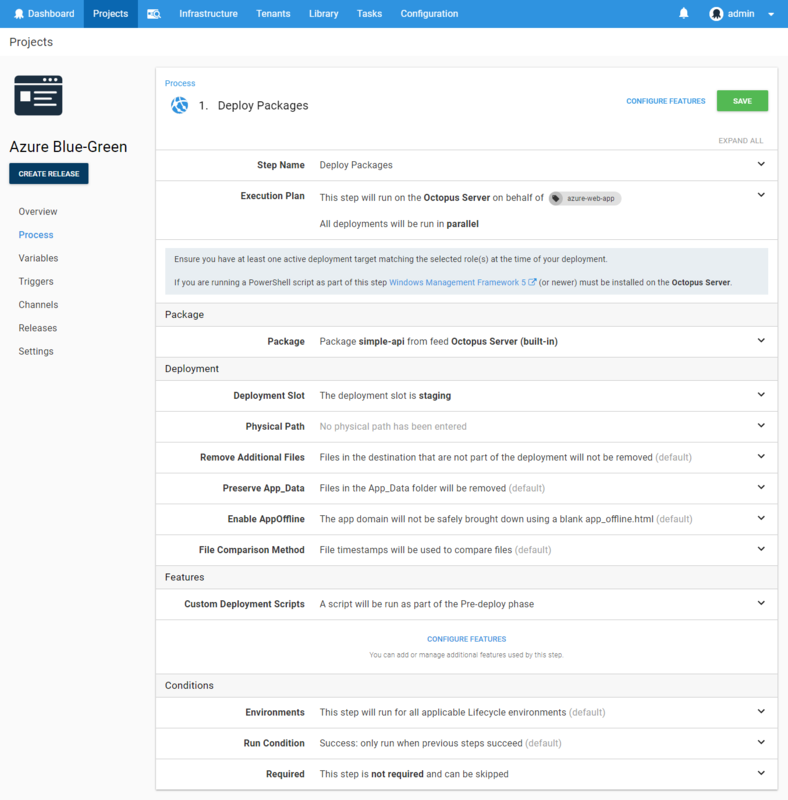 Follow the steps for Azure Web App targets. 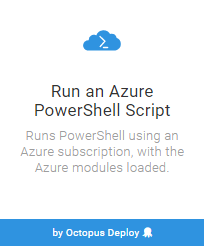 Create a Run an Azure PowerShell Script step. The reason for the first line, which removes the Staging Slot, is to ensure we are deploying to a clean slot. This can significantly reduce the time taken for deployments with a large number of files. The next step is to deploy your package to the Staging slot. 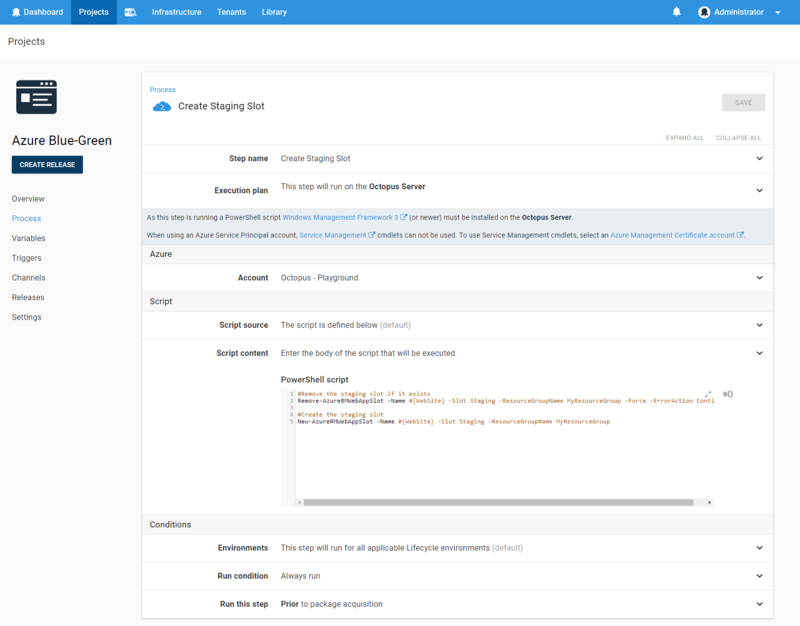 We do this by creating a Deploy an Azure Web App step. You can choose to specify the slot directly on the deployment target, or directly on the step (if you wish to deploy to multiple different slots on the same Web App Service, for example), however, the slot on the target will take priority. The final step is to create another Azure PowerShell step to swap the Staging and Production slots. 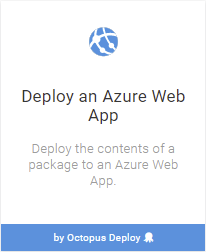 At this point you should have a working Blue-Green deployment process for your Azure Web App.